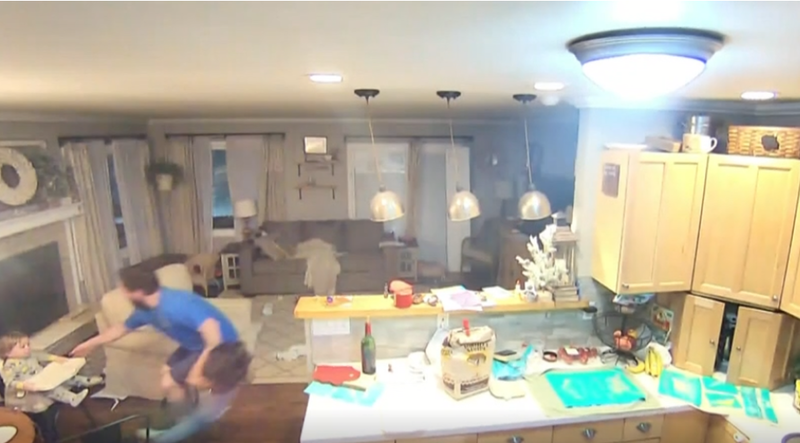 ANCHORAGE, Ala. (WKRC) - Home surveillance video captures the moments of a powerful earthquake struck Anchorage, Alaska. The video truly shows the split-minute decisions parents must make in the wake of disaster. Parents would like to assume they know what to do in emergency situations but when it actually happens everything can change very quickly. Jesse Elmore was having a regular morning when the earthquake struck. "I just started the coffee pot poured myself a cup of coffee. I felt it," he said. At first he tried to keep calm for the kids and told himself it was just another quake in Alaska. But the situation quickly escalated and he had to act swiftly. Jesse's third child was downstairs as the frantic race to get the family to safety began. we've had in a while... the dad in me kicked in," Jesse said. He wasn't the only parent in distress. Jennifer Skiljah thought the worst when she felt the shaking. "I was like okay this is it, this is the end of the world..." she said.